Sudanese police have detained and questioned eight church leaders in the last six weeks in what observers fear is an ongoing campaign by the government to seize control of the country’s churches. Local sources told World Watch Monitor that officials arrested Mahjoub Abotrin, a senior leader within the Sudan Church of Christ (SCOC), from his home in Omdurman, near the capital, Khartoum, on 22 September. He was interrogated before he was released, and at the time of publication it is not clear whether he has been charged with any offence. World Watch Monitor understands that he was arrested because he refused to hand over leadership of the Sudanese denomination to government-appointed officials.Several denominations in Sudan are fighting efforts by the Sudanese government to take control of their affairs, as state-appointed committees try to oust church-appointed leadership. The constitution of the 12,000-member Reformed Church calls for a general assembly every three years to appoint leaders, and the current leadership’s term expires next March. Last month security officials told four other members of SCOC’s leadership committee they could expect charges to be brought against them after they refused to hand over the Church’s office premises to a committee of government officials. In August, seven senior SCOC leaders were arrested and held by police for a day, including its head of missions, Rev Kuwa Shamal, moderator Rev Ayoub Mattan, finance secretary Abdulbagi Ali Abdulrahaman, deputy finance secretary El-Amin Hassam Abdulrasool and church leaders Yagoub Naway and Musa Kodi. The men were reportedly interrogated and released on bail. Rev. Shamal was previously detained in December 2015, with three others, but was released in January this year because of a lack of evidence. The two others arrested in 2015, Hassan Taour and Abdulmonem Abdumawla, were eventually released in May after the Czech aid worker Petr Jašek was set free in February, following intervention by his government and the EU Envoy on Freedom of Religion or Belief. 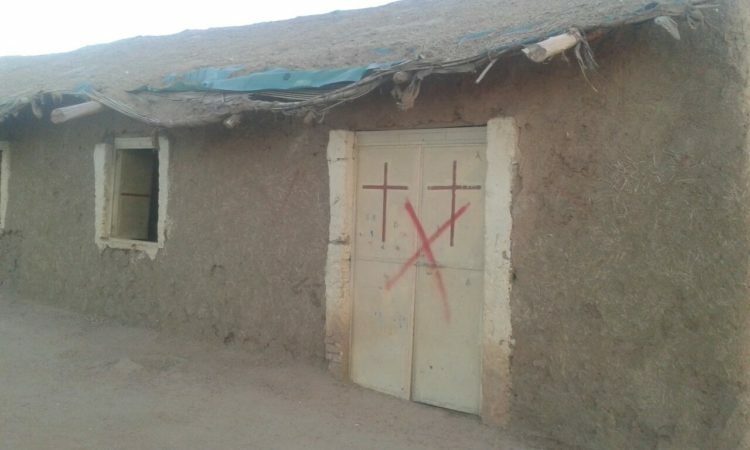 Sudanese authorities are engaged in a campaign of intimidation against the country’s Christian minority, which includes the gradual confiscation of properties. State-sponsored persecution of Christians in Sudan has increased since the Christian-majority south seceded from the Muslim-majority north in 2011.